Fancy owning a house on one of Scotland’s most famous – and colourful – streets? A house on one of Scotland’s most famous and colourful streets has been put up for sale. 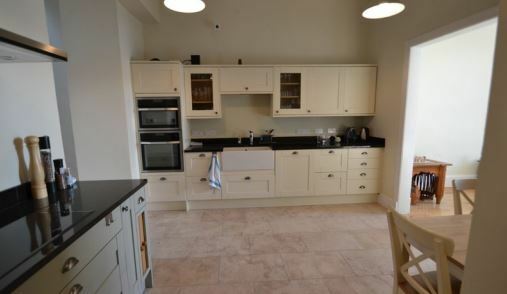 The property, which is worth £395,000, is sure to attract offers from people keen to live among the picture-postcard scenery. 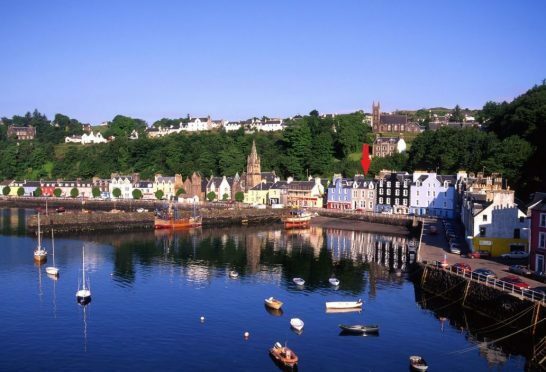 The house, complete with a cream-coloured façade, is part of the famous rainbow-coloured street on the seafront in Tobermory, Mull. 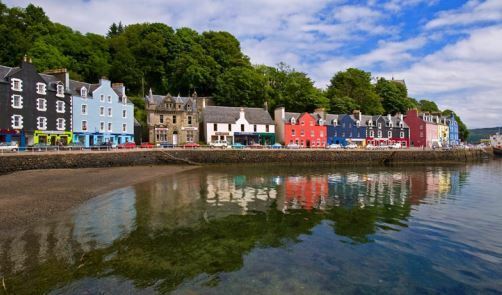 The seven-bedroom property, which fronts directly on to the harbour, boasts stunning views in the town made famous by children’s TV show ‘Balamory’. A former bank building, the house at 27 Main Street was refurbished by the current owner to include an annex at the rear of the property. 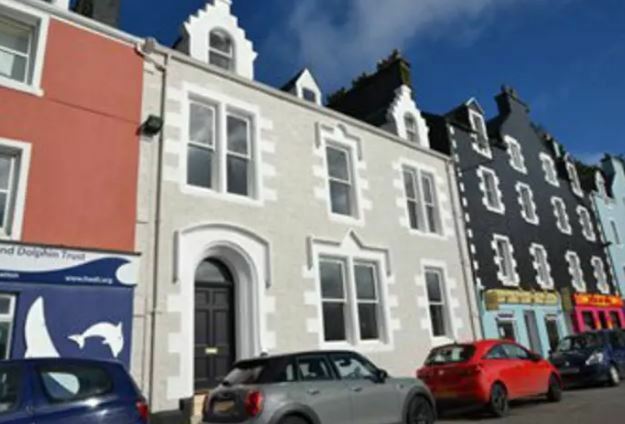 A spokesman for CKD Galbraith, the estate agents responsible for the sale, said: “Situated in Mull’s principle town of Tobermory with its famous painted houses overlooking the harbour, 27 Main Street is an imposing former bank which was operated by its previous owners as successful guest house for many years. Nicky Archibald, who is handling the sale, added: “Demand for high end accommodation is on the increase on Mull which this property offers and in a spectacular location. Properties on one of Scotland’s most exclusive streets rarely hit the market, so what’s it like to call Rubislaw Den your home?